The Future is Here. Announcing 400 Beale is Fiber Ready! Our fiber installations in the SoMa neighborhood of San Francisco continue to be rolling out at a steady pace. 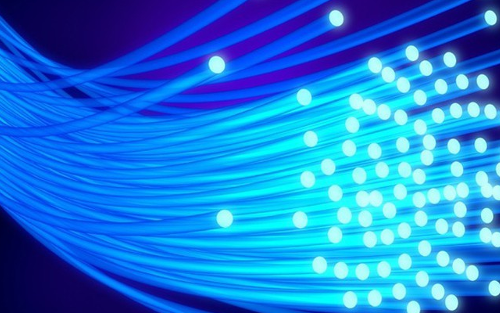 This week we installed a NEW 10 Gbps fiber optic cable at 400 Beale in San Francisco. With this upgrade, our customers at 400 Beale will enjoy increased data capacity, lower latency and higher reliability. A big round of applause to our fiber team, for this successful installation! We upgraded 400 Beale to fiber for free, as part of our ongoing commitment to continually provide enhanced service to our customers. And while 400 Beale is in the spotlight this week, it is just one of the many buildings in our network to have received technology and service upgrades. That is the commitment we make to our customers. This fiber installation is a big deal for us at Webpass. Not because fiber technology continues to receive hype. Or because we continue to roll out fiber, while other internet service providers continue to delay on their fiber installation. Or even because access to high speed Internet service in San Francisco continues to be a challenge for many residents. At Webpass, we’ve built our business on technology upgrades as part of our everyday, so customers can continue to enjoy enhanced connectivity. That’s what customers pay us for every month – a service that we will always improve, and that’s why it is a big deal! We continue to bring the future forward. Check back on our Blog, follow us on Twitter or Facebook to see where we bring fiber next, as part of our everyday customer commitment.